Wow! Check out this an amazing promotion!! Stampin’ Up! 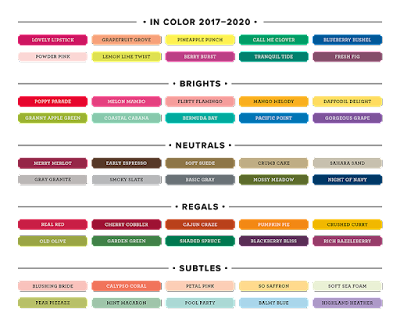 are giving away a whole Colour Family of Inkpads to new members before! 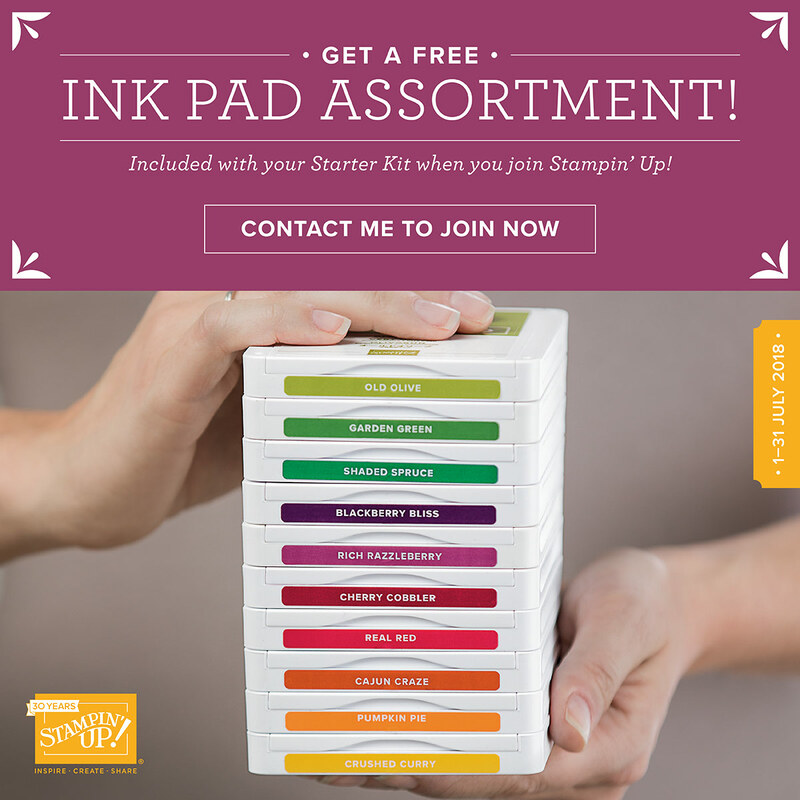 That’s 10 Inkpads (valued at $13 each) for FREE when you join Stampin’ Up! If you’ve ever wondered what it would be like to join, now’s the time to find out. 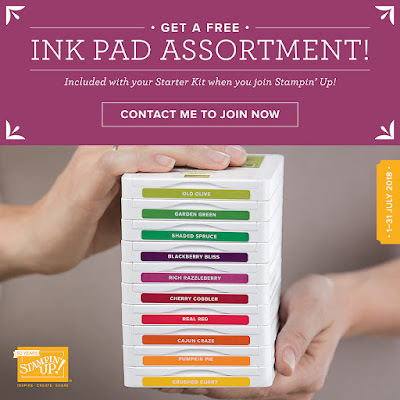 You can join to run Stampin’ Up! as a business or a hobby, either way you can buy your own Stampin’ Up! Products so much cheaper, the option is yours. All the very important details! 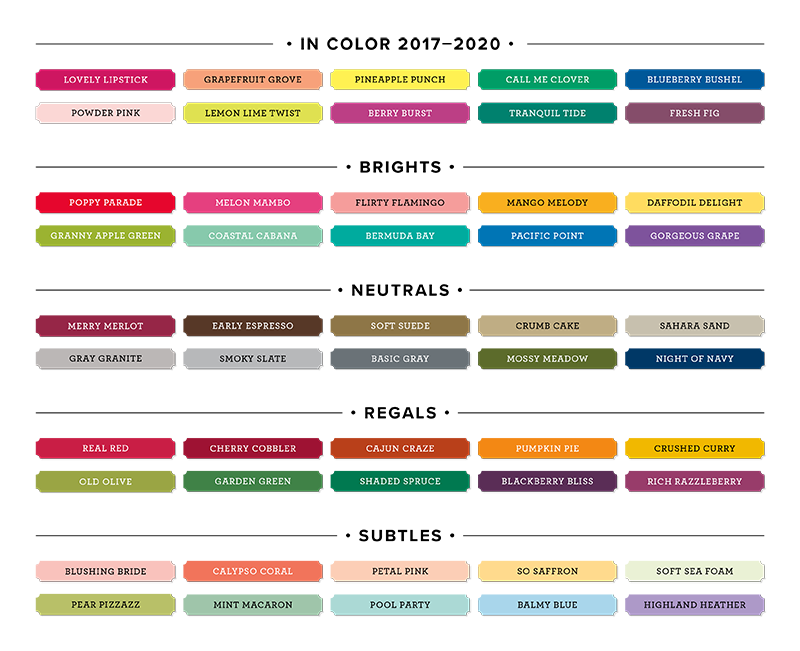 The 2017–2020 In Color Classic Stampin’ Pads bundle is exclusive to this promotion and includes all colours in both the 2017–2019 In Colors as well as those in the 2018–2020 In Colors. New demonstrators who submit their Independent Demonstrator Agreement (IDA) before 1 July or after 31 July 2018 will not be eligible for this promotion. Please refer to the recruiting policy, which is located in Stampin’ Up!’s demonstrator policies document, for additional information about recruiting.